It's A Dan's World: THE ULTIMATE ODD COUPLE: RIDDICK AND YOGI BEAR? Apart from each being on the run from a few Rangers, Yogi Bear and Pitch Black's Riddick seem to have nothing in common, but leave it to New Zealand to bring the two together. This week a 3D CGI/live action adaptation of everyone's favourite pic-a-nic basket thieving bears, started filming right here in N.Zed. Justin Timberlake will provide the pitch-perfect voice of Boo-Boo, and Dan Aykroyd proves he's 'smarter than the average bear' as Yogi. On the flipside Vin Diesel has stated on his Facebook page, that his team are here aswell, checking out locations for the next instalment of the franchise The Chronicles of Riddick. 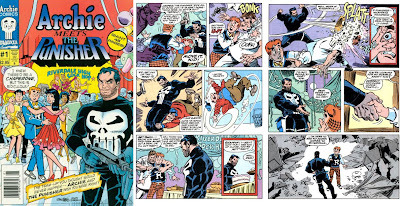 With the next chapter rumoured to be given an 'R' rating, don't expect much more of a crossover between the two, although I guess if Archie can meet the Punisher, anything is possible! A partly ive-action Yogi Bear movie? WTF? I know what you're saying Rob - just doesn't seem right does it? I might be a little bias though - in this day of CGI, 3D, LMNOP, I still don't think 2D animation has had it's day yet!